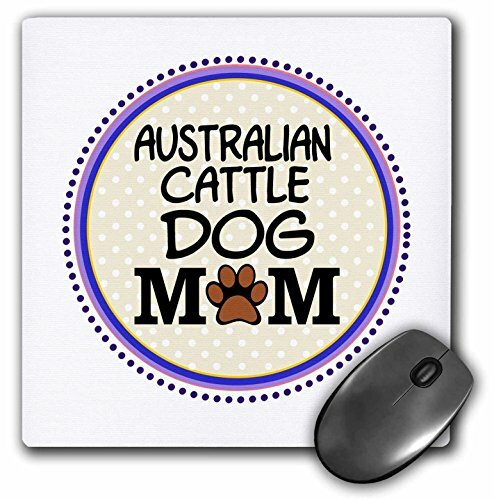 Australian Cattle Dog Mom - Doggie mama by breed - paw Print doggy Love mum Dog lovers pet owner mouse pad is 8" x 8" x 25" and is made of heavy-duty recycled rubber. Matte finish image will not fade or peel. Machine washable using a mild detergent and Air dry.